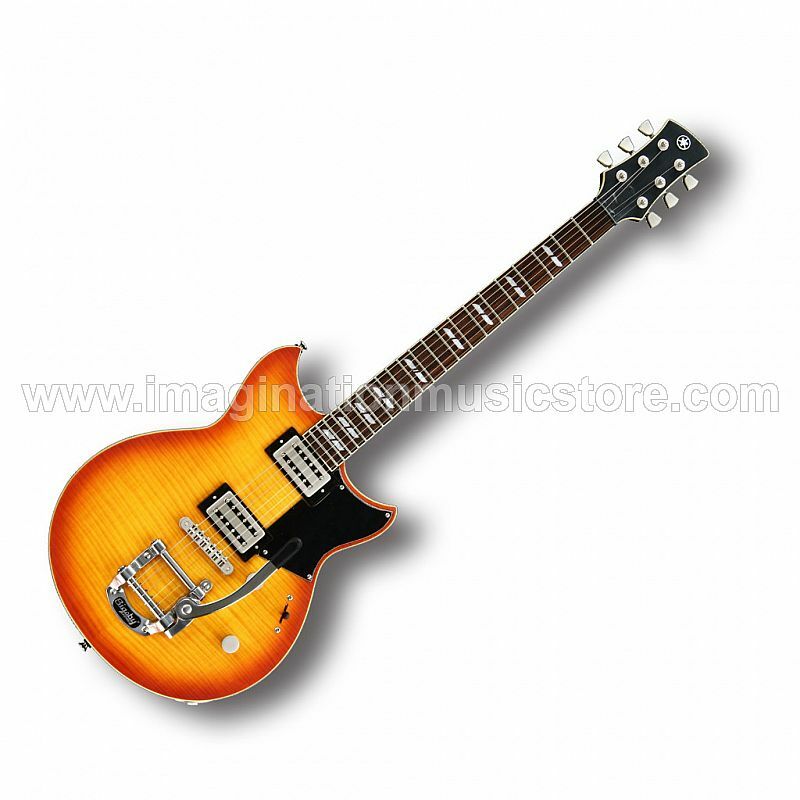 Yamaha primed the RS720B solidbody electric guitar for expressive, clear, bell-like tone, with its Bigsby vibrato tailpiece and a pair of overwound, low-output pickups. But make no mistake, the RS720B will definitely make your amplifier growl and roar if you hit it hard. The sonic flexibility is enhanced by the push-pull Dry circuit, which gives you single-coil-like snap without introducing additional noise. Combining a comfortable body, smooth-playing neck, and a rich voice, the Yamaha RS720B definitely deserves a place in your guitar collection. Yamaha spent a lot of time fine-tuning the pickups in the Revstar series - they tested over 50 prototypes before settling on the perfect combination of wire, windings, magnets, and baseplates for each guitar model in the series. The VT5 humbuckers in the RS720B employ Alnico V magnets, a brass baseplate, and underwound polyurethane wire. This gives the RS720B a clear, ringing, low-output tone just like some of the most beloved vintage guitars ever created. Yamaha's innovative Dry switch on the RS720B gives you the tone-shaping capabilities of a coil tap circuit, while maintaining the noise-free operation of your humbuckers. The push-pull Dry switch is actually a passive filter that cuts out low frequencies, giving your tone even more clarity and punch to cut through the mix. You'll achieve the same enhanced snap and twang that you'd expect from a single-coil pickup, without introducing any noise into your signal chain. The mahogany neck on the Yamaha RS720B is set directly into the mahogany body. Guitarists at Sweetwater like the set-neck design because it maximizes vibrational transfer throughout the guitar for impressive sustain and helps enhance note definition too. Clean tones ring out like a bell, while overdriven tones can sustain for days. Inspired by the bold styling of London and Tokyo's vintage street-racing motorbikes, Yamaha's Revstar series of electric guitars features dramatic curves, character-packed custom-wound pickups, and delightfully muscular tone. Each model in the Revstar lineup is full of its own distinct personality. These instruments exude a distinctiveness as unique as the guitarists who play them. Expressive vintage tone awaits in the Yamaha RS720B.